Revisiting my personal canon through audiobooks. There was a time when I was a total audiobook snob. Audiobooks weren’t real reading. They were listening. It wasn’t the same thing. But then I was doing a lot of driving back and forth between Delaware and the Boston suburbs, where I attended grad school and returned to visit frequently. And driving a lot of other places, during a yearlong period where I was presenting at every educational and library conference I could, in order to establish myself on the speaking circuit. Suddenly, audiobooks were my new best friend. And you better believe I was quite vocal about my conversion. 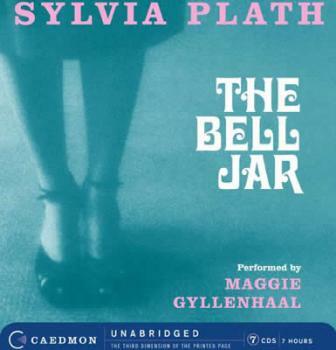 At some point, I acquired an audio version of Sylvia Plath’s The Bell Jar read by Maggie Gyllenhaal. Now, I’d read The Bell Jar at least half a dozen times in my youth. And loved it. Plus, hi, Maggie Gyllenhaal. Here’s what blew me away: listening to Maggie Gyllenhaal read The Bell Jar turned it into a different book for me. I can’t describe it, exactly. It’s just a new experience to hear a book you’ve read in print. It’s also a great study in voice, and I started talking about this in my creative writing classes. After I let my Audible subscription go, I stayed off the audiobooks for a while. And then, about two years ago, a coworker was raving about listening to R.J. Palaccio’s Wonder on audio. She’d gotten it from the library, she said. I thought: What a brilliant idea! So I started going to the library to get audiobooks. Sometimes I’d let chance dictate what I’d listen to next, walking through the shelves until something caught my eye. Other times, I’d specifically request a title through interlibrary loan. I liked listening to adult fiction on audio, because my pre-sleepytime reading was so limited that to get through a super-long book took me weeks. But I enjoyed listening to young adult and middle grade fiction as well. Then, one day, I was wondering through the audiobook section of my favorite local library and spotted E. Lockhart’s The Boyfriend List. I’d been lucky enough to read the book even before it was published (the good fortune of being part of the same imprint). And I may have reread it once in the decade since. But I certainly hadn’t read it in quite a while. I checked it out. Then I completely geeked out. Once again, revisiting a book I love in audiobook transformed the experience for me. Plus, it made me fall in love with the book all over again. I’d forgotten how visceral a reaction I had to Kim’s betrayals. To the douche canoe that is Jackson Clarke. And how much I felt for (even identified with) Ruby, still one of my all-time favorite first-person narrators. When The Boy Book arrived, I literally squeed. Then I saw it had a different reader. No more Mandy Siegfried. Hello, Kirsten Potter. The first few lines in Kirsten’s voice threw me. She didn’t sound like a teenager. She sounded like a full-blown adult! WHERE WAS MANDY? It wasn’t until I hit Disc 3 that I finally accepted that she wasn’t coming back, and I had to make the best of things with Kirsten. Don’t get me wrong – Kirsten has a perfectly lovely voice. But her voice didn’t sound like Ruby’s to me. Mandy’s did. Over the years there have been a few audiobooks that I had to give up on because I just couldn’t deal with the reader’s voice. I won’t name names, but we all know that not every audiobook is a winner. Thankfully, I stuck it out. Now, as I am rereading Real Live Boyfriends in hardcover (because, you know, I can’t reread it in audio), it’s Kirsten’s voice I’m hearing as I read. Now I’m listening to The Disreputable History of Frankie Landau-Banks on audio, and will dive right into Melina Marchetta’s Saving Francesca when I’m done. I have to admit, I kind of hate the reader for The Disreputable History. She’s got a solid Midwestern accent, which doesn’t go with Frankie at all. Plus, she sounds like she’s whining through most of the book, and I don’t remember Frankie sounding whiny in the least. It’s so fascinating to me (and possibly ONLY me) how the reader and production of an audiobook can dictate how I feel about a given work. I listened to Libba Bray’s Beauty Queens on audio; Libba was her own reader, and I have to say, it’s one of my favorite audiobooks ever. Would I feel the exact same way if I’d read the words on the page? I don’t know. After seeing the film adaptation of Gone Girl, I am desperate to reread that on audio, just to see what the experience will be like. I have a request out for ILL.
What are your favorite audiobooks? Do you prefer to listen to books you haven’t read previously? Or, like me, are you a fan of using audio to revisit old favorites from your personal canon?